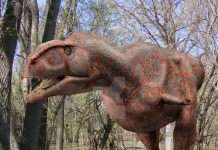 Mapusaurus was a huge dinosaur which lived approximately 100 million years ago during the late Cretaceous Period. 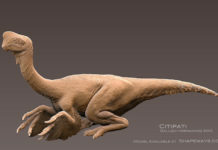 It was first excavated between 1997 and 2001 by a joint Canadian- Argentinian team in Argentina. 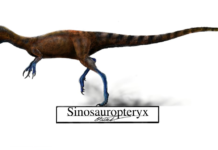 Later in 2006, it was named Mapusaurus by paleontologists Phil Currie and Rodolfo Coria; a name which means “Earth lizard” or “land lizard.” The species was named Mapusaurus roseae. It was given this name not only because of the beautiful rocks in which the fossils were found in, but also to honor Rose Letwin—who happened to have sponsored the expedition which helped recover these fossils. 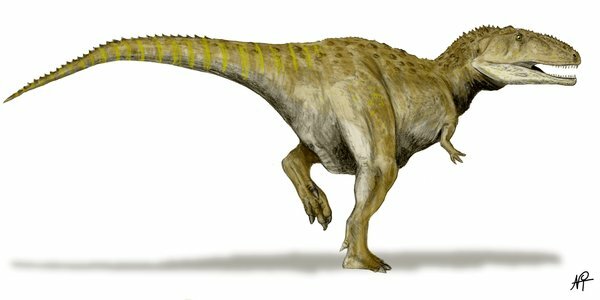 Mapusaurus was approximately 33 to 40 feet in length, 13 feet high and weighed approximately 4 tons. 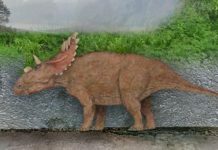 When this dinosaur was discovered, paleontologists noticed that many of the fossils were all clustered together. 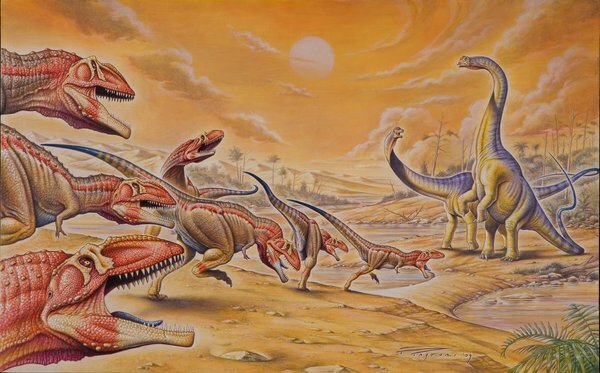 This has given rise to the theory that these carnivorous dinosaurs may have traveled in packs. This would have been a plausible scenario, especially if these dinosaurs attack some of the large herbivores of the time such as Titanosaurs or Argentinosaurus. 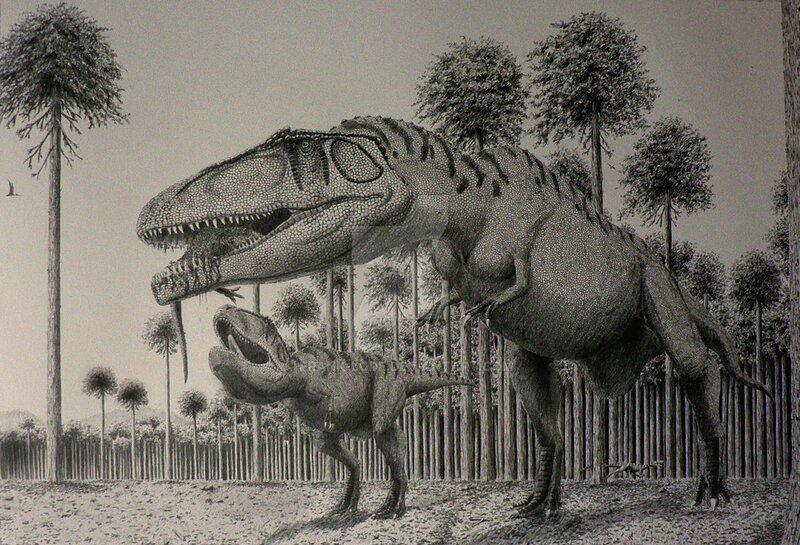 To take down an herbivore this size, these dinosaurs would have had to hunted in large groups. An effective strategy, but one that has yet to be proven. 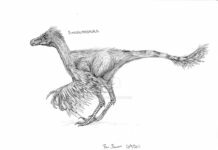 Some paleontologist believe that this bipedal carnivore could run at a top speed of 30 miles per hour. If that is the case, then that would have made it significantly faster than a Tyrannosaurus Rex. 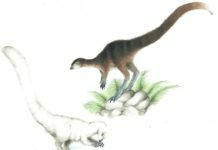 It also would have made it more than fast enough to take down any of the herbivores that existed in South America at the time. 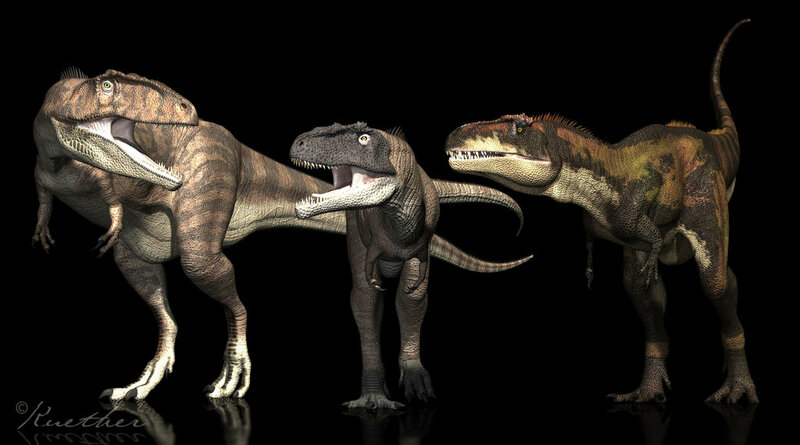 An interesting fact about Mapusaurus is that it is one of the largest carnivores to have ever been found. It is even bigger than Giganotosaurus and Tyrannosaurus Rex. 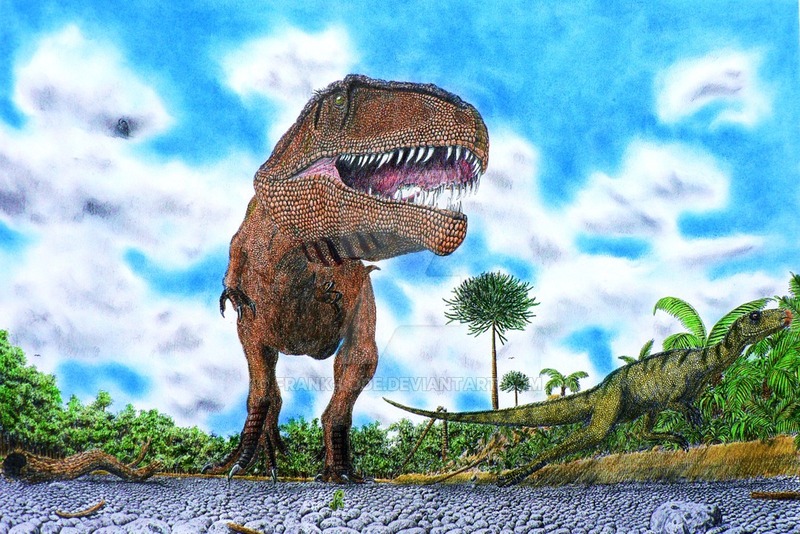 However, it still wouldn’t be as large as a Spinosaurus—which is still the largest carnivore of all time and unlikely to be unseated from that title anytime soon.